“Komics @ Kerouac” will feature the framed art work of Matt & Ellen Wyatt, Ray Tomczak, Molly Durst, Andrea “Sam” McEnaney and Max Ink. Their books as well as those of other Sunday Comix members will be available for sale throughout the month of February. Kafé Kerouac is located at 2250 N. High St. in Columbus, hours are Mon-Fri, 8am to 11pm, Sat, 10am to 11pm, and Sun, Noon to 10pm. 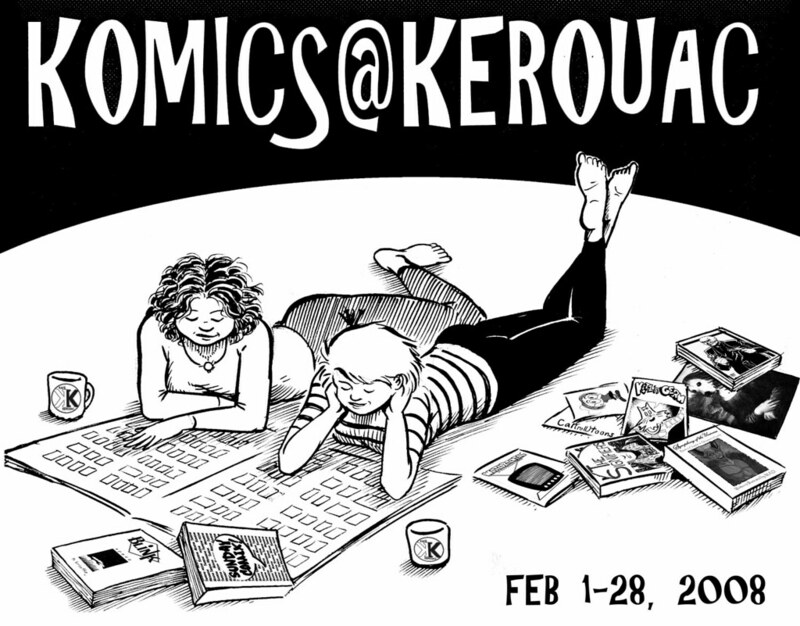 “Komics @ Kerouac” is a Sunday Comix specific show featuring members Matt & Ellen Wyatt, Ray Tomczak, Max Ink and others’ framed art on display as well as their books for sale all thru the month of February at the Kafé Kerouac (2250 N. High St. Columbus). Kafé hours are Mon-Fri, 8am to 11pm, Sat, 10am to 11pm, and Sun, Noon to 10pm. The opening reception will be held at the Kafé on Friday, Feb 1 from 7-11p. 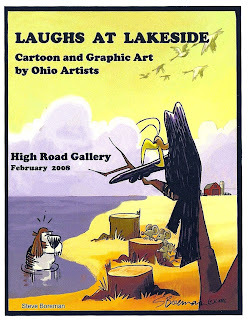 A few members of the Sunday Comix group will also be participating in the National Cartoonists Society, Great Lakes Chapter sponsored show, “LAUGHS AT LAKESIDE” at the High Road Gallery (12 E Stafford Ave, Worthington) from January 30 to February 23. Gallery hours are Wed-Fri, 12-4pm and Sat, 11:30am-4pm. Sunday Comix will be hosting a Comix Jam during the Opening Reception on Sunday, February 3, 2:00 – 4:00 pm.